Finally! Some news on the Revenant! Game Designer Roy Cronacher wrote up a post on the Guild Wars 2 site to tell us a bit about how the Revenant works. I’ve personally had questions on how the legends would work. That question has been answered and so much more! You know the special Function skills each profession has (F1-F4)? Well the Revenant’s profession slots in 2 legends of your choosing into your Function skill. You can toggle between the 2 slotted legends by pressing F1. The legend you choose determines the entire right side of your skill bar. That’s right, your heal, utilities AND elite skill. The Revenant also has a resource bar in order to use skills. Think of it as a mana bar. When you switch to a legend, you get 50% of your bar filled and more so over time. What’s interesting is the addition of upkeep skills. Upkeep skills are skills that consumes a bit of your resource bar over time as long as you keep the skill active. If you’ve played GW1, you probably understand this. The choice in making the skill bar this way is interesting for a variety of reasons. Since players won’t be in control of choosing that right set of utility, heal and elite for their builds, I assume there will be a decent variety of legends to choose from, my guess would be around 75% of the average number of utility skills per profession. I’m not sure how much this will affect sPvP players since we don’t know all the legends just yet. I imagine it may be even easier to make builds depending on what you want to do and you equip the according legends best suited. I also wonder if buying legend skills will cost more skill points than the average utility skill or elite to balance things out. I have heard there may be a change to how skills are obtained so we’ll wait on that. Also, having upkeep skills will definitely require some player skill to maintain their resource bar. To be honest, I’m really excited for using upkeep skills because I used this mechanic a lot on my Monk in GW1. Revenants do not have a weapon swap ability, which makes sense when you think about it. Engineer (medium armor) and Elementalist (light armor) can’t weapon swap but have swappable skills in some form. The addition of a heavy class with the specialized function skill described above that can’t weapon swap seems reasonable. Also, weapons are not tied to legends but to the Mists instead. So don’t worry, you’ll always have those weapon skills when swapping legends. Revenants will be able to use Hammers as a ranged weapon, Maces and Axes as melee weapons. I’m actually quite relieved that Hammer is confirmed as a range weapon because most PvE boss fighting requires range and the Hammer seems like it will be a decent range weapon with some close range bonus Guardians have like Field of the Mists which makes a field that blocks incoming projectiles. Maces and Axes seem to be designed to be used in a positional strategic manner. 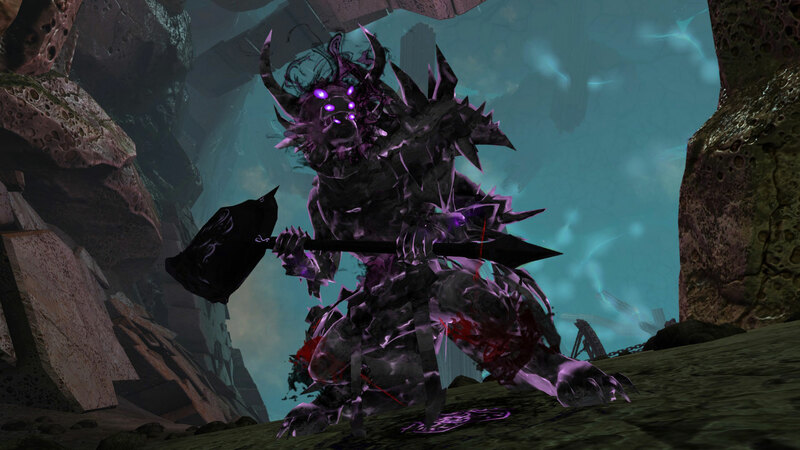 A skill on the Axe called Temporal Rift creates a rift and pulls enemies to it after a short time which could be combined with the 3rd mace auto attack Manifest Toxin which sends toxic energy to enemies behind each target. There are probably quite a bit of cool Revenant combos you can pull off. Look at that image! Just look at that! Is that not awesome?! For those of you that have played GW1 Nightfall, you know that’s a Mallyx the Unyielding effect of some kind. Well you’re correct! Each Legend stance has a distinct look and color scheme to tell the difference and each legend has a special “trait”. For Mallyx, it would be conditions. There’s a Mallyx upkeep skill called Embrace the Darkness that makes you more powerful with the conditions applied to you (I assume the Charr in the pic above is using it). For Jalis it would be tanking and brawling. A Jalis upkeep skill is Vengeful Hammers which makes hammers fly around you and damages enemies in the process. This reminds me of my Dervish in GW1 for some reason and I’ll probably be running Jalis stance quite a bit on release. New Boons, and Conditions, and Status Effects Oh My! Resistance will help squishies out as well as help in dealing with that annoying condi-[insert profession name here] build in sPvP or WvW. Slow I can see a use for in WvW, slower animations means an easier target. Taunt is actually really good from a tanking point of view. Basically taking agro away from dying allies and such. So we know a bit more about the Revenant now and I’m actually even more excited to try one out. My main problem now is which race will my Revenant be? I mean, I gotta look cool when entering Legend Stances after all. I couldn’t wait to write about this. I was quite literally at an airport writing this after playing a few hours of the patch the day before. I have to say, this is the best Living Story update so far. This is for many reasons: story, exploration, nostalgia but we’ll get into all of that in a bit. I first want to state that I think the break ArenaNet took was well worth it. The first 4 episodes I think were “test” episodes in a way to find a good way to tell the story, unveil new zones and so on. After all, those were the first episode-like content for Living Story. ArenaNet definitely hit the nail on the head with Echoes of The Past patch. Let’s start with the explorable content. There is a new zone call The Silverwastes. The Silverwastes has a similar look and feel like Dry Top but rather than have map wide tiers to obtain cheaper items (like in Dry Top), there’s a static price for items and a cumulative pre event setup for the main events, kind of like the Karka Queen event chain if you’ve ever done it. I prefer this setup because all events in Silverwastes gives you something on completion. Great content for farmers. Also the achievements are pretty much similar to past episodes but there’s nothing wrong there. In fact it’s better in this map because I actually feel like completing the achievements. Now for story. I’m not sure how players that have not played GW1 felt but for me and for many others I know (that have played GW1) the story was amazing to play through. I think even non-GW1 players feel that the patch is quite good. The reason that I bring up GW1 is because of nostalgia. In the trailer for this patch we saw Ogden and a crystalline area which as I stated in my last GW2 post, reminded me of Glint and her lair. The trailer made it seemed like we would go through Glint’s lair once again which we do. I have to say, I got a bit teary eyed when I first got into the lair and heard that GW1 Crystal Desert music. Some other neat points of GW1 nostalgia were from reading the books in the Durmond Priory. There are even books for GW2 related lore. Which led to me side tracking a bit to read some of the books. I would have been very happy to just read everything for an hour but my friend who was with me at the time wanted me to continue the story. I had priority over the instance so I was able to get some reading in before we moved on. I have to say the patch gets a 10/10 from me. The one and only thing I feel you could complain about is the one waypoint in Silverscrapes which is located at the far right side of the map. Makes it hard to navigate and might have to “graveyard run” if no one is around to revive you. There will definitely be an extension to the Silverwastes map. Story is solid and there are more mysteries. Not just in game mysteries either. I have this weird feeling going through the end of the episode that we’re going to finally get that expansion-like content we’ve been asking for the last 2 years. Of course it will probably come after the end of this season of Living Story. I really looking forward to the next patch! I can assume by the title you guys know what I’m going to write about. 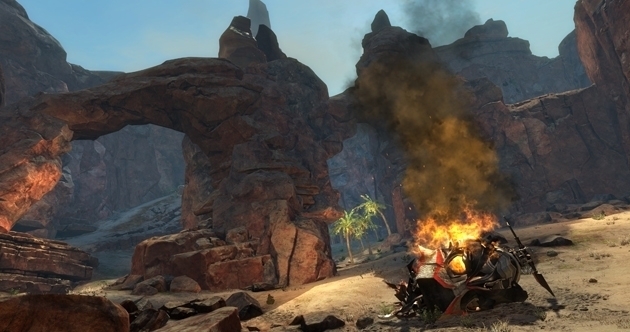 Most regular Guild Wars 2 players know that if there’s a way to farm for loot, farmers will exploit it. Well maybe exploit isn’t the right word here. More like, utilize any content added to the game to get loot or to make a profit. This was true of Clockwork Chaos champ farming, Black Lion Key farming, the Frostgorge train farming. You get my point. And I think that farming is fine in games as long as there’s no conflicting interests. Let me further explain what I mean by conflicting interests while farming. What I mean is that there are two groups of players at farm related content but they’re there for different reasons. One example of this is the Clockwork Chaos patch. If you were around, you know that the first week of the patch players actually beat Scarlet for the achievement but the 2nd week, the majority of players were farming the events rather than trying to get to the point to fight Scarlet. While frustrating as it is, some players that didn’t get lucky to get on a map that actually fought Scarlet didn’t get the achievement. With the Frostgorge farming, players aren’t doing the event for an achievement, they playing to literally continue the story. I thought from the very first time I had to go to Iron Marches and do events, this was a terrible implementation. Sorry to say that but that’s what I thought. There’s always going to be less people at these events as time goes by so I was wondering how it would look a month later. To be honest it wasn’t too bad but Frostgorge proved to be the difficultly. You would think that ArenaNet would learn from Clockwork Chaos: if there’s a way to farm champs effectively, farmers will take advantage of it. Now some players can’t continue or players with alternate characters can’t catch up with their main(s) (which isn’t so bad). 1) Make the timer for the Fenris event chain the same success or fail. This is the solution I like the best. I also believe it would be the easiest to implement. I believe the main problem is that the event fail timer is 5 minutes while the success timer is 30 minutes. Make the timer 30 minutes for both success and fail. Players will be at least be compelled to help players out after they’ve farmed a bit. This has a chance for working since burning the transformed shamans health bars isn’t too hard if everyone helps out. 2) Reduce or remove the champions from the Fenris event chain. Pretty much kills farming but I’m against this as it removes incentive for going to the event which means way less players doing the event like in Iron Marches from patch day as compared to now. 3) Let destroying the totem after the Fenris event chain allow players to continue the story. This would work if the event chain is successful or fails. Kind of a quick and easy solution. It hinders no one but it removes the entire point of clearing the Fenris event chain. 4) Make this part of the story an instance. Probably the hardest to do because of the implementation required. There would have to be less mobs, reduced strength in the enemies and some ally NPCs to name a few things but it could work and I find it should have been instanced anyways. I would have loved to fight beside Braham and Eir. I hope ArenaNet somehow fixes this. It’s quite important not to be blocked from the story by your ally players and it’s kind of pointless to have Living Story and players can’t continue in November because players want to farm. I’d also like to note that Living Story was revamped in Season 2 specifically so that a player can do the story whenever the player wants to. I also hope ArenaNet keeps in mind when adding a lot Champions to any event (not just Living Story) they keep in mind if it should be farm-able content or not. Guys, this next patch… is going to be so good. Be sure to watch the trailer before reading! Okay so, these patches just keep getting better and better! For one, the vines are spreading further into Tyria. Up to the Black Citadel at the very least; and Rytlock is not happy about it. It also looks like personal issues will be featured in this patch as well. Let’s talk about Entanglement first. Beware, spoilers ahead. So I have to say, this patch was highly impressive. At first I was going through the motions, seeing if I would find out more about the image that could be linked to the Realm of Torment. Then as I was exploring more of Dry Top I got really into the scenery. And that cave where the episode takes place is quite awesome. The part where we have to help out the camps in Kessex Hills and Timberline Falls was ok, then we saw Belinda, Marjory’s sister, hanging dead from a vine that grabbed her. Then we saw Marjory almost breaking out into tears. At that moment, I felt so sad and even sick to my stomach a bit. I was doing the episode with a friend so we didn’t leave the instance right away when we finished but man I felt so bad whenever I looked over and Belinda. Finally, there was The Machine. At first I thought, this is it! We’re going to be ported to a new zone! Initially I thought it’d be the Realm of Torment but I started to question it when I saw the Tree in the cut scene. Then we saw the insignia of what was thought to be the Realm of Torment. Then we saw the green orb get sucked into the middle and saw the Dragon’s eye, the eye of Mordremoth. Our character confirmed we saw the Eternal Alchemy which blows my mind because if that insignia where the smaller orbs represent the Elder Dragons, there are 6 in all. What would be cool is if we have some light attachment to the Eternal Alchemy so that we have visions or something along those lines. I think it’d be interesting story wise. All in all the last two moments of the episode made me very happy and excited for the next episode which we’ll talk about now! Well, I guess no one made any weed repellent strong enough just yet because the vines have spread out to at least the Black Citadel/Plains of Ashford area. I noticed that the corruption spread distance from Dry Top to Timberline Falls (from episode 1 to 2) is relatively the same distance from Timberline Falls to The Black Citadel. If the corruption spreads in all directions, then we could be looking at the bottom of Frostgorge Sound having a few vines as well. I do wonder if the corruption could even spread into the Shiverpeaks. If it’s possible, the spread would be quite bad. The reason I question if it’s possible is that The Risen have only spread up to Lion’s Arch (starting from the bottom left of Tyria) during personal story. It looks like Mordremoth’s vines are either following a path of waypoints or the ley lines which pretty much covers Tyria either way. This patch features Destiny’s Edge 2.0 making what seems like some hard decisions. We see Rox talking with Rytlock, Braham about to talk to his mother Eir, and we see Taimi with other Asura looking as if they want an answer out of her. These “tests” definitely follow from the personal issues of each character I mentioned above from Living Story Season 1. From Season 1 we know there’s friction between Braham and Eir. We also know that Rox had to make decisions between her friends (mainly Braham at the time) and her getting into Rytlock’s warband. Taimi I’m not so sure of but there may be some Asura not too thrilled with her infatuation with Scarlet or with her research of Scarlet. It will be interesting to see how these characters will proceed if personal issues get in the way. The members of the first Destiny’s Edge had big personal issues as well; and we all know that turned out badly. Hands down, this line is the single biggest thing in that video. I had a dumbfounded expression on my face but was internally freaking out when I saw that. It appears that Rytlock is going to release the Ghosts of Ascalon to fight for him. You know, the ones who harbor insane hatred for the Charr for over 200 years? Yea those ones. That scene reminded me of Aragorn from Lord of Rings: Return of the King when he got the ghosts to fight for him. Rytlock is pretty much Aragorn in this case. Oddly enough, they both need a sword to release the ghosts from their spectral curse. Anyways, the fact that Rytlock resorts to these measures really signifies that Mordremoth presents a huge problem next patch. However, if the ghosts are bound to help Rytlock fight Mordremoth in exchange for something, I’m guessing letting their spirits being freed, that’s a different case and could very well prove to make the story more interesting. 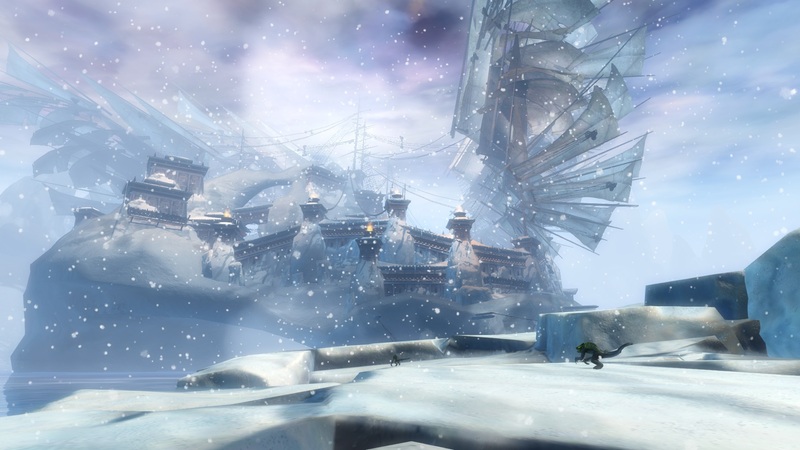 All in all, ArenaNet has been doing a great job on the story. I hope they’re not burning through all the good stuff right now as I feel we’re reaching a high of the story rather quickly. I could be wrong though and this could very well be only a small sample of the good stuff yet to come. Personally, the Gates of Maguuma patch was okay for me, it felt like a normal LS patch: a bit of speculation and decent story setup for next patch. Entanglement is what woke me up, the trailer was fine but the ending of that episode was so good and had me wondering what was coming next. Now we see that the trailer for Dragon’s Reach: Part 1 is amazing and full of intrigue. It naturally leads me to believe the patch will be amazing as well. I have to force myself to remember to dial it back a bit as next episode is Part 1 of the story. I assume there will be two episodes to make up the story of Dragon’s Reach but you never know!